November 30, 2013, Paul Walker died in a tragic car accident. One year later, people are still struggling to accept the cruel reality. In honour of the late star, his family, friends and fans are all remembering and paying tribute to him. 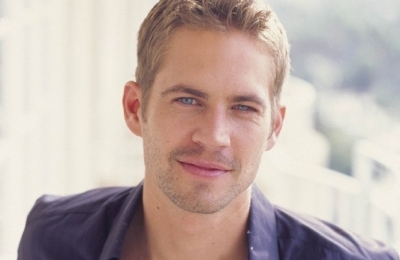 Paul's co-stars from the Fast and Furious franchise have taken to Facebook and Twitter to pay their respects. Fans gathered in Valencia to pay tribute to the actor, and the Sheriff's Department of Santa Clarita Valleyō asked that they remember to slow down today. Outside of acting, Walker was the face of The Coty Prestige fragrance brand Davidoff Cool Water for Men and starred in the National Geographic Channel series, Expedition Great White. He also founded his own charity, Reach Out Worldwide (ROWW), an organization providing relief efforts for areas affected by natural disasters. Walker died as a passenger in a car accident on November 30, 2013 alongside friend and driver Roger Rodas. His films Hours and Brick Mansions were released posthumously and his final film Furious 7 is scheduled to be released on April 3, 2015 in the United States.